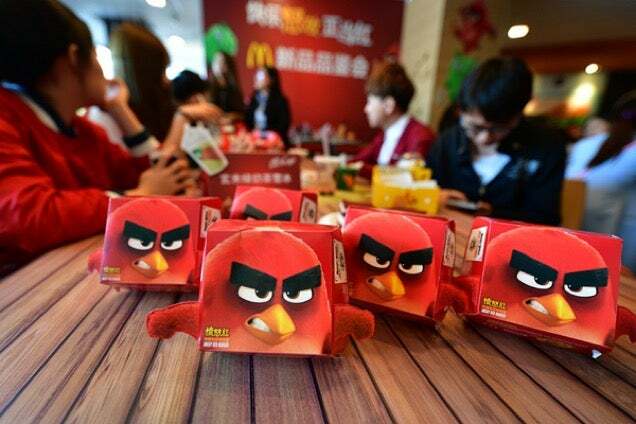 To mark the Angry Birds' movie release, McDonld's in China is serving up Angry Birds themed food, including this Bad Piggy burger. 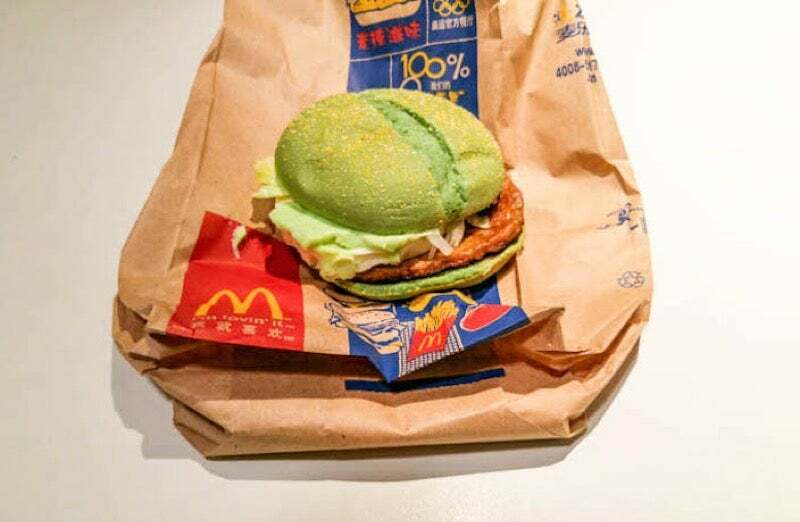 Well, according to website That's, it's actually called a "Naughty Green Pork Burger". That's said that the burger "wasn't half bad," adding: "It wasn't as large, or as succulent as the advertisement made it appear, but then again they never are. The burger included a pork patty, an egg, lettuce, a mysterious sauce with a hint of jalapenos, and the notorious green buns." 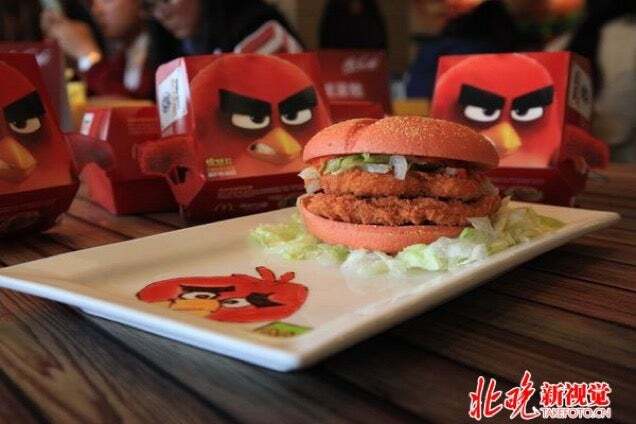 [Image: wxrw123] China is also getting an Angry Red Burger, which is a double chicken patty with red buns. [Image: Great Chef] And a cool box. 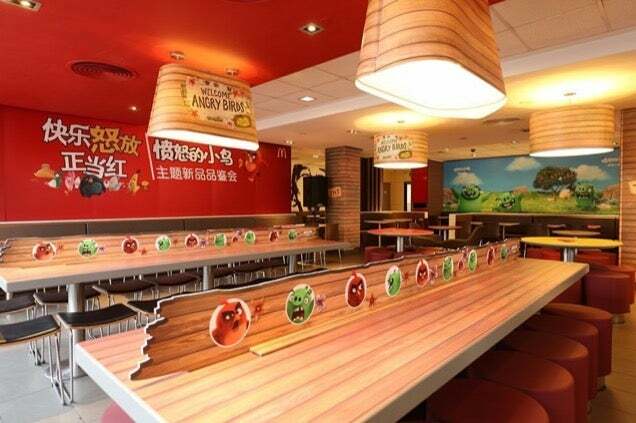 Below are more photos of China's Angry Birds themed McDonald's. 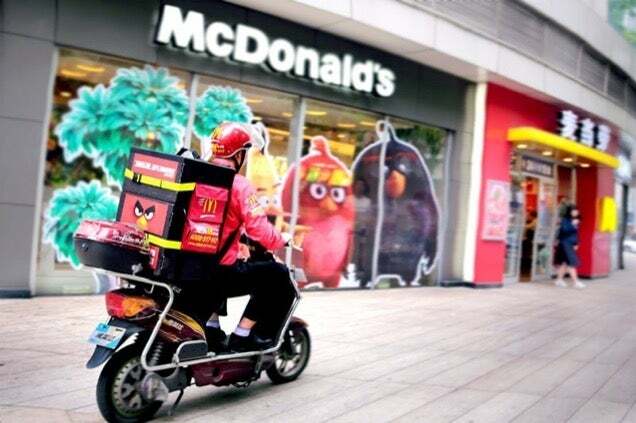 Don't Asian fast food places do this thing all the time? I thought so, in fact just from the preview image my first thought was that it was going to be a Green Tea or Wasabi bun or something! 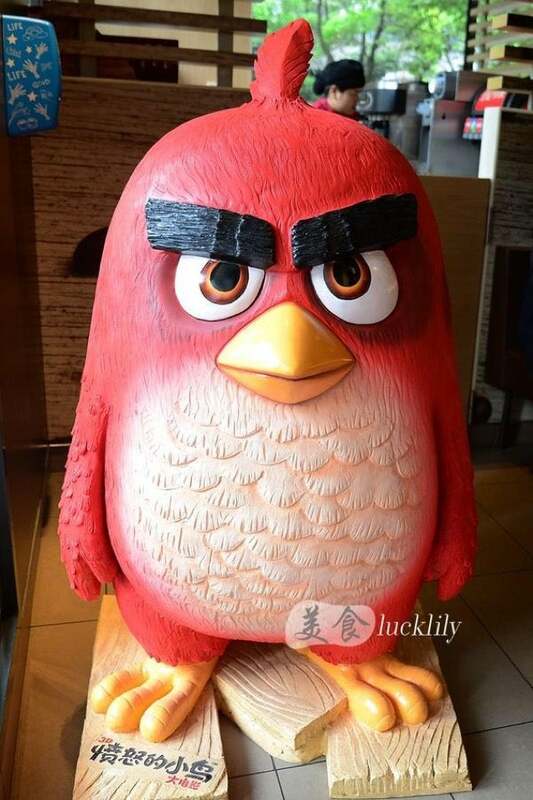 I feel kinda disappointed it's just Angry Birds related. I didn't think they would release a burger that looks less appetising than that black bunned one. I was wrong.